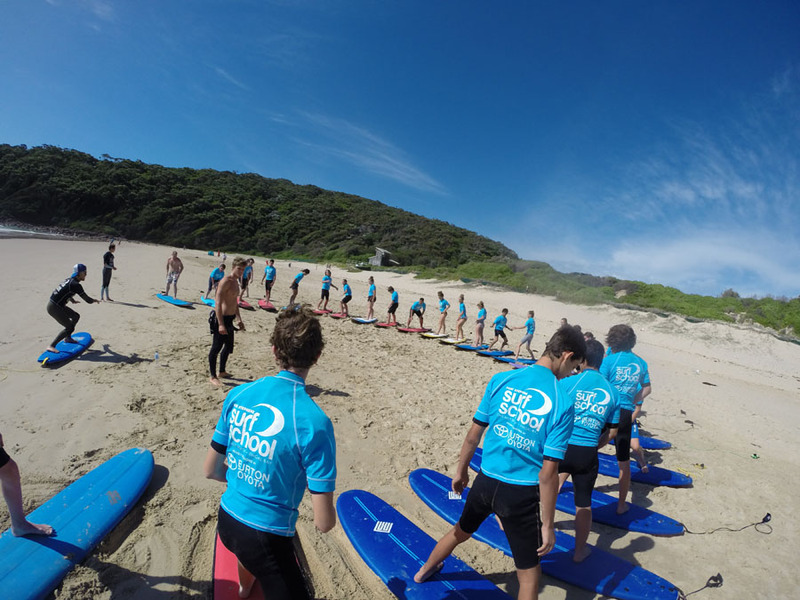 Port Stephens Surf School offers a range of surf safety, surf education, surfboard riding and body board programs all year round for students. All programs are tailored for the school and age of the participants. 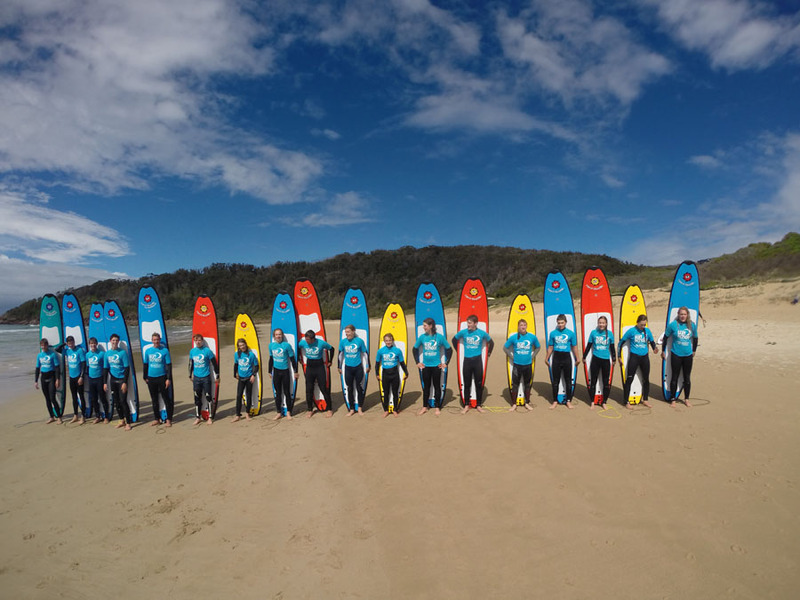 Our program is run in conjunction with Surfing Australia’s Safe Surfing Program and the NSW Education Department Risk Assessment guidelines. 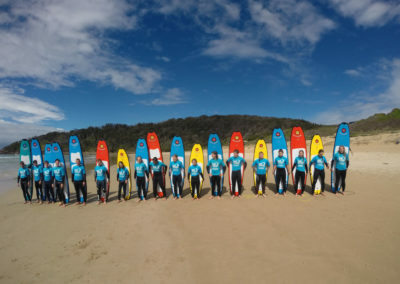 Our program and Surf School are endorsed by the Australian Sports Commission. The five tiered program teaches from total beginner all the way to advanced. We currently have several schools (primary, high school & university) participating in our programs. 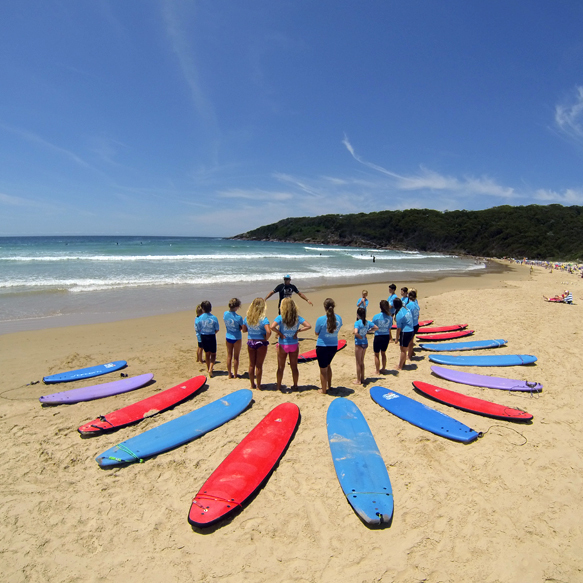 We teach at One Mile Beach, Fingal Bay Beach, Birubi Beach for Surfing lessons & hire and Dutchies Beach for Stand Up Paddle lessons & hire. 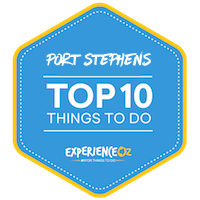 All beaches were chosen by Port Stephens Surf School’s owner Luke Michalak as they are the safest locations for surfing in Port Stephens. We can cater classes to suit your needs from a 2 hour lesson to 1 hour courses for a whole 8 to 10 week term. Class sizes from as small as 8 to big groups of up to 150. Colleges, Universities, high schools and primary schools – $55.00 for 2 hour lesson per person (This offer is only valid for groups with minimum 16 people). We teach dangers of the ocean, rips, currents, tides and surf related skills. Our staff are highly trained, qualified outdoor education experts who deliver programs all year round and know exactly how to engage your group to maximise participation. 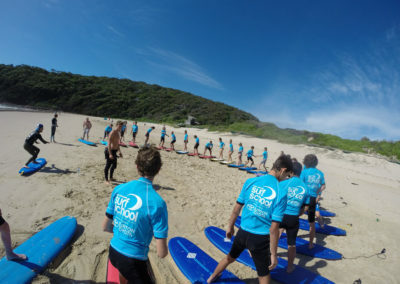 All staff are trained in Surf Coaching by Surfing Australia and hold current First Aid, Resuscitation Qualifications, Ocean safety Surfers Award and working with children’s check. We train our staff with above industry standard of qualifications so you can rest assure your group is being well looked after. Safety, then fun is our priority. 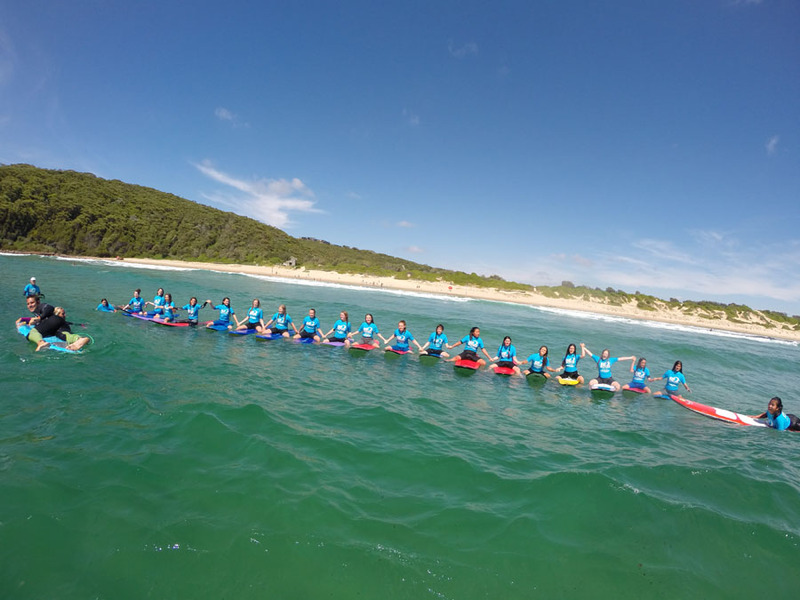 Our surfing ratio is 1:8 ie 1 instructor to a maximum of 8 participants.